Chair of the Department of Near and Middle Eastern Civilizations at the University of Toronto, Tim directs the Tayinat Archaeological Project in southeastern Turkey. These projects form part of a wider, interregional research effort looking to shed light on the early development of urban life and state-ordered society. inter-regional interactions in the Bronze and Iron Ages. Steve uses GIS and remote sensing, geomorphology as well as ceramic petrography to investigate the interplay between settlement, land use and economy. Stanley specializes in the study of ancient ceramic technologies of the Bronze and Iron Age in the southern Levant through the use of macroscopic, petrographic and chemical analysis. 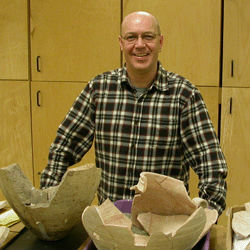 His research interests focus on the ceramic industry of Central Jordan during the Early Bronze Age. Kevin investigates the relationships between urban landscapes, social interaction, and social change on the eastern Mediterranean island of Cyprus during the Late Bronze Age (or Late Cypriot period, c. 1650-1100 BCE). He conducts his field work at two important urban centers, Kalavasos-Ayios Dhimitrios and the Maroni “urban cluster”, located in neighboring river valleys in south-central Cyprus. 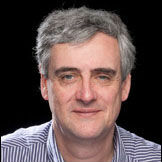 Eugene co-directs the Dynamic Graphics Project, or DGP, at the University of Toronto. His research interests include most aspects of realistic computer graphics, including computer animation, modeling natural phenomena, and illumination, as well as strong interests in internet based imaging, image repositories, software systems and parallel algorithms. Shawn trained in Roman archaeology but has become over the years a digital archaeologist and digital humanist. His teaching explores historical methods and digital history at all levels, and he keeps an open lab notebook of his research and experiments in digital history and archaeology at his research blog, www.electricarchaeology.ca. Sturt is interested in the archaeology and environmental history of the east Mediterranean region, including timescales and the nature of social development. He is the Goldwin Smith Professor of Classical Archaeology and Director of the Malcolm and Carolyn Wiener Laboratory for Aegean and Near Eastern Dendrochronology at Cornell University. 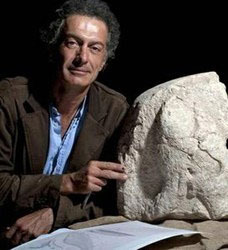 Nicolò's research themes concern the study and the characterization of the Bronze and Iron Ages in the Syro-Mesopotamian area. In particular, the Early Dynastic period in Mesopotamia and the Middle Bronze Age in the Levant have been major research foci. Currently, critical revisions are under way for the Iron Age sculptures of the northern Levant (and of Karkemish, especially) and for the development of the historical landscape in Mesopotamia and of Bronze and Iron Ages societies therein. Graham has research interests in landscape archaeology, artefacts and the organization of the small-scale complex societies which characterize much of the Middle East in the later prehistory. He has considerable experience of working with satellite imagery and was Co-Investigator of the Fragile Crescent Project, charting the rise and fall of Bronze Age settlement within the Fertile Crescent. 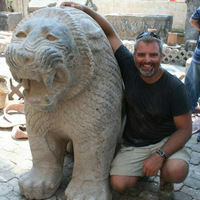 David specializes in the archaeology and history of the ancient Levant from ca. 3000 to 300 BCE. He has conducted excavations in Israel and Turkey and is director of the Neubauer Expedition to Zincirli. As well as seeking to understand the structure and operation of the small Bronze and Iron age kingdoms that flourished in the eastern Mediterranean, David is also interested in database design for textual and archaeological research. This led him develop the OCHRE software platform with Sandra Schloen.